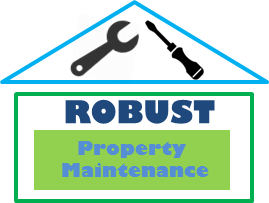 Robust is currently tackling two jobs with moisture and condensation issues. We have a medium portable dehumidifier running in a one bed apartment currently with mould issues. The display on the dehumidifier shows the current room humidity. The reading above is 72. Range goes from 0-100. The ideal range for rooms is 40-50. Hence the indicator is showing 72 is high moisture. The higher the more humid and the more moisture. This moisture allows mould to grow and makes the room damp and musty. We plan on seeing how much moisture we can remove from the small room and also will the humidity be possible to lower or will the dehumidifier need be left on to tackle the problem. Here is the amount of water removed over the course of a weekend, the compartment filled to the top. As you can see it full to the overflow cut off point. This is the magnetic connection to cut off this unit, a good feature. The humidity levels are being reduced from high 80’s down to 60. Following moisture removal it is a good time to tackle a mould treatment and application of new durable paint. There is also the industrial option as shown below, this would remove moisture quicker. Previous Entry New Years Resolution/To do List! After ten hours of running there has been 4 litres of water collected in the compartment.